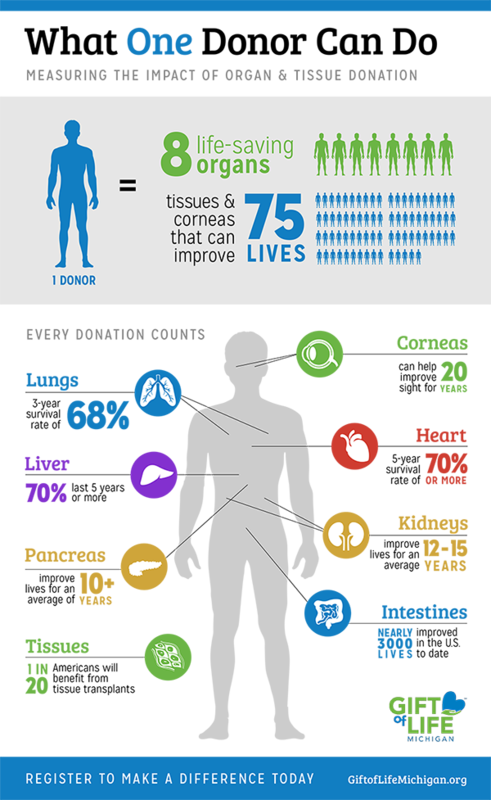 Become an organ, eye & tissue donor today. Thank you for your interest in joining the Michigan Organ Donor Registry! Every 10 minutes someone is added to the national transplant waiting list, and 22 patients die each day because not enough organs are available. Joining the Donor Registry gives you the opportunity to save or improve the lives of up to 75 people, and will not interfere with the quality of your medical care. Answer the two questions below. You’ll either be redirected to the Secretary of State website or you’ll be asked to fill out a form on this page if you don’t have a state ID. That’s it! 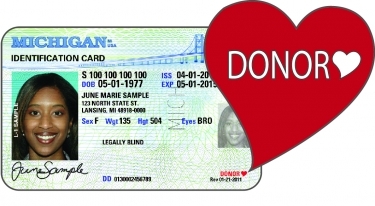 You’ll be added to the Michigan Organ Donor Registry. Thank you!